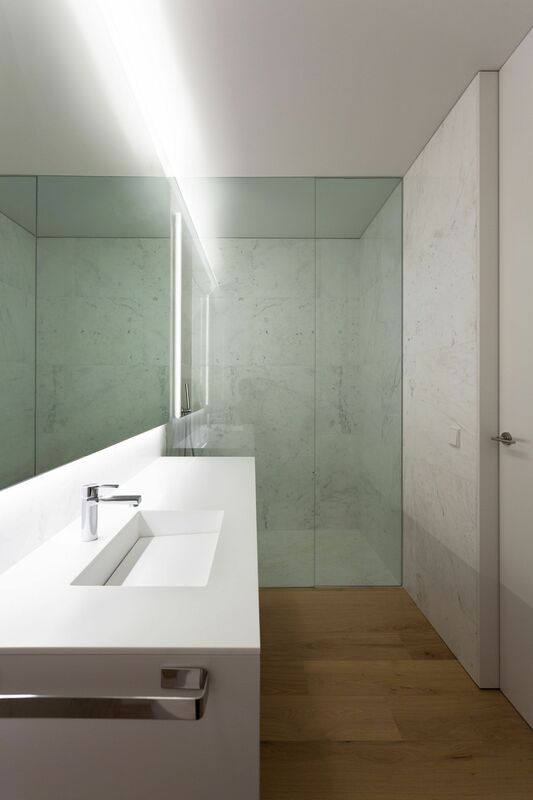 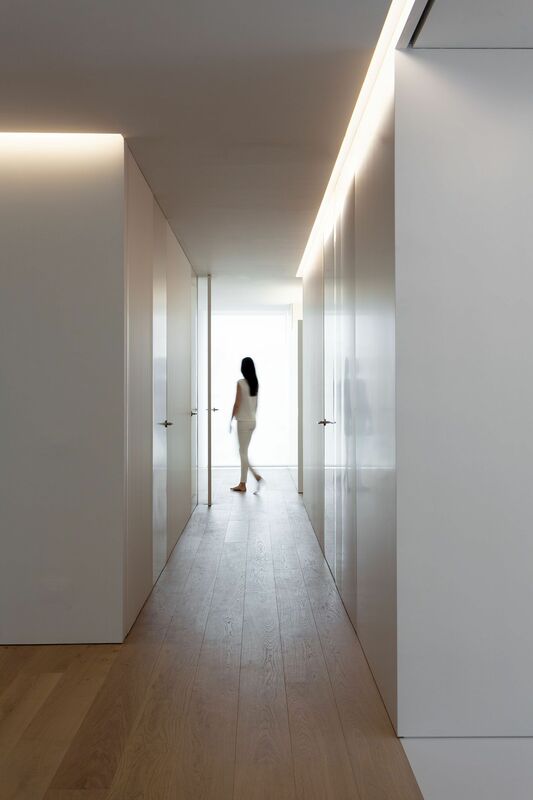 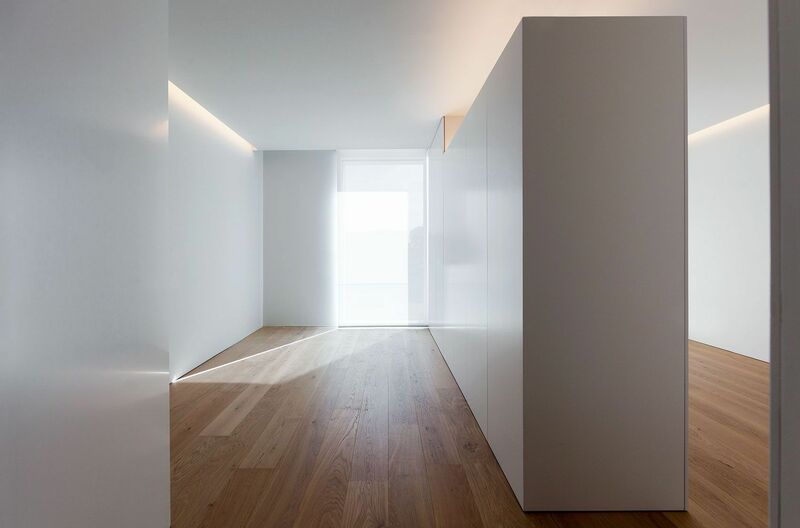 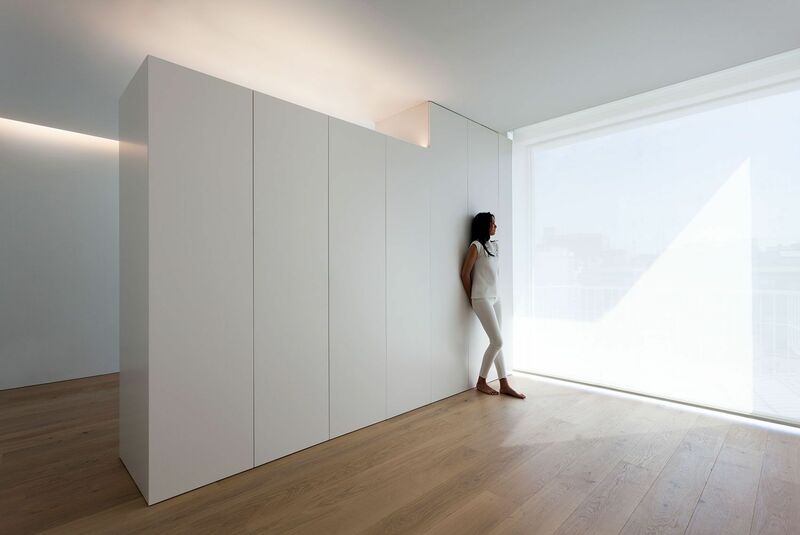 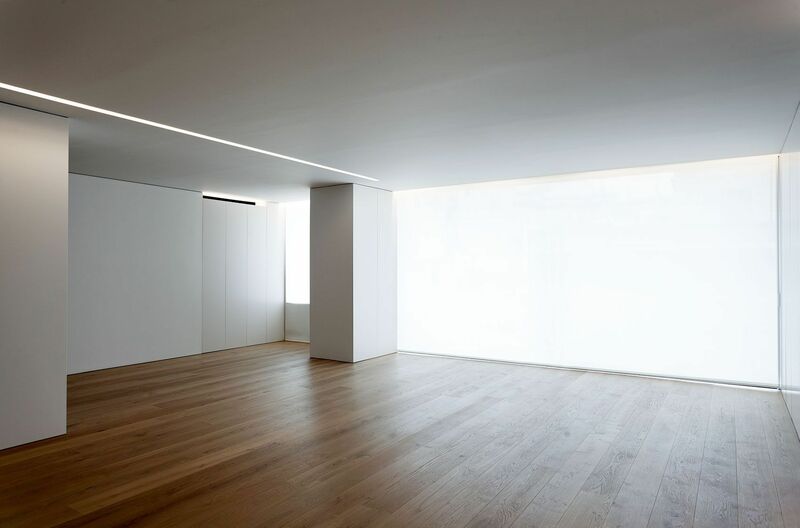 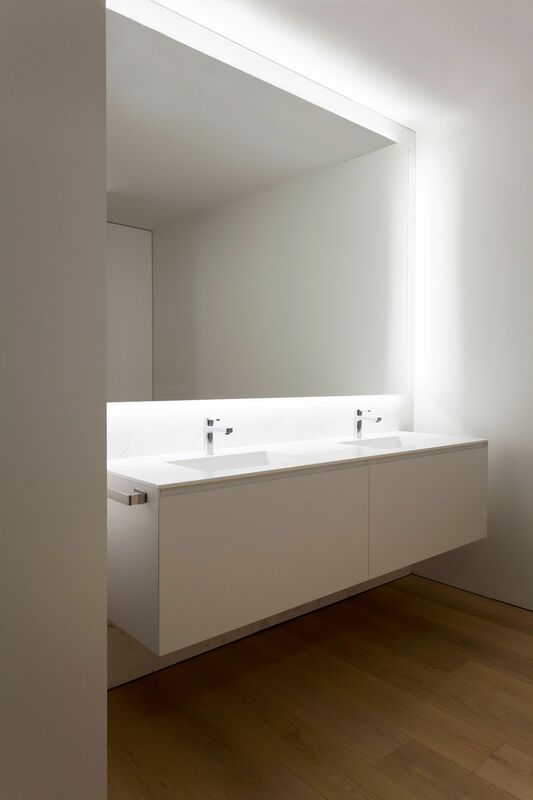 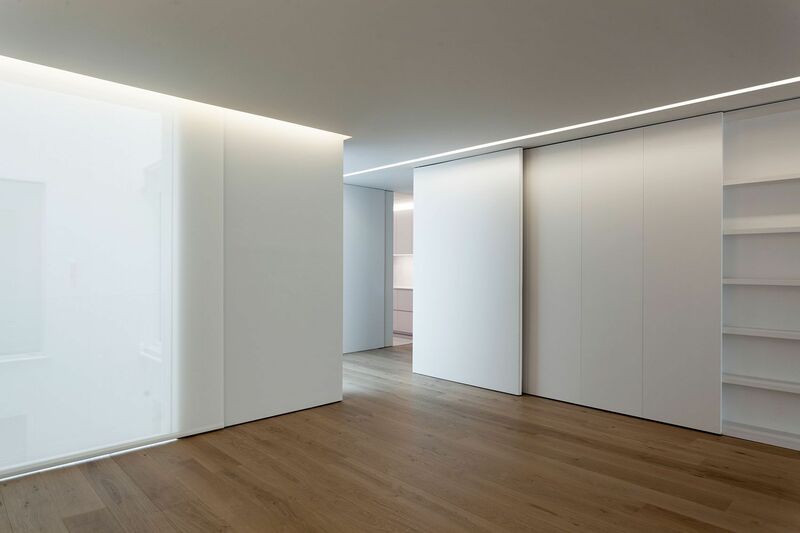 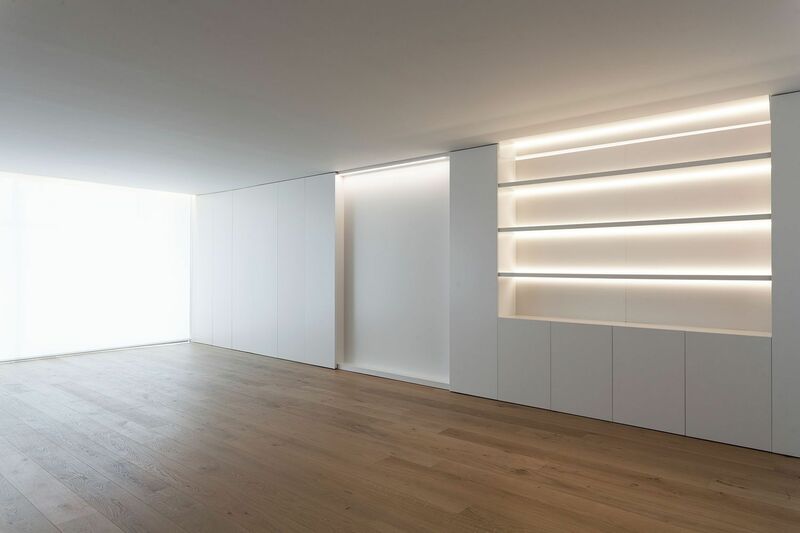 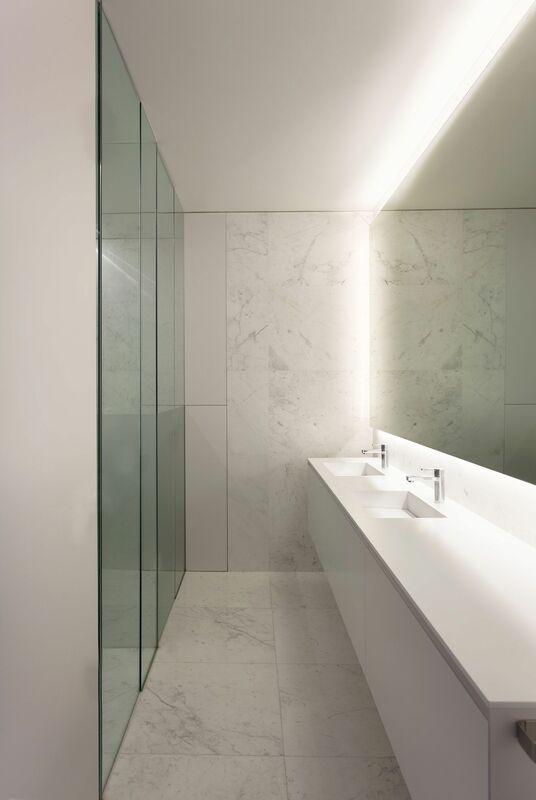 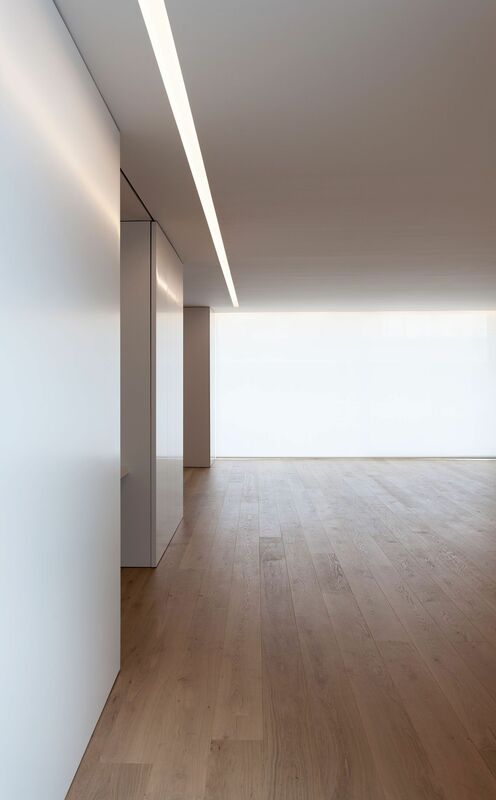 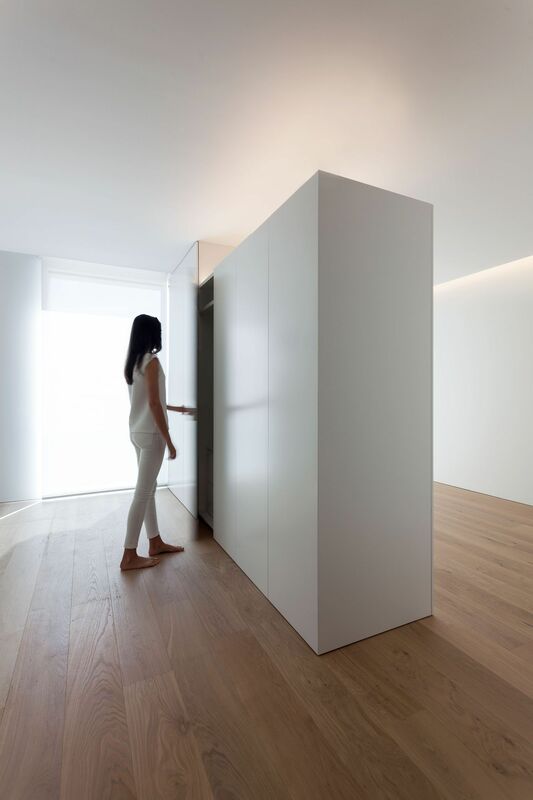 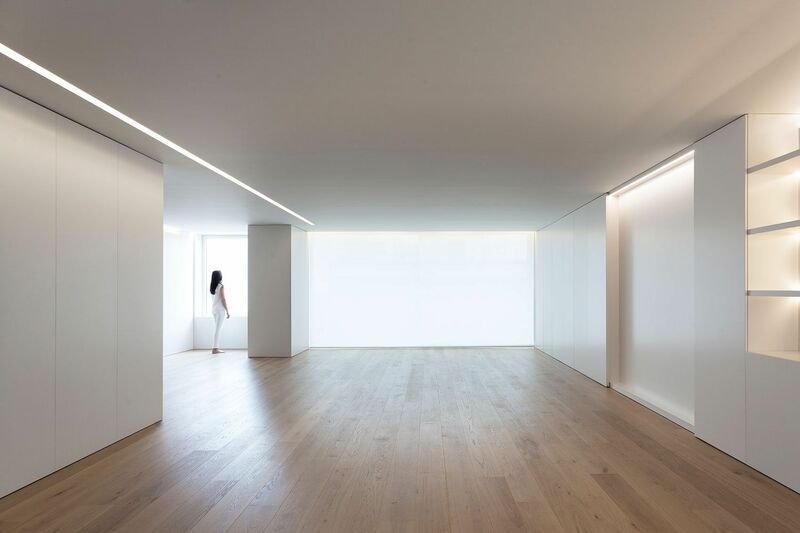 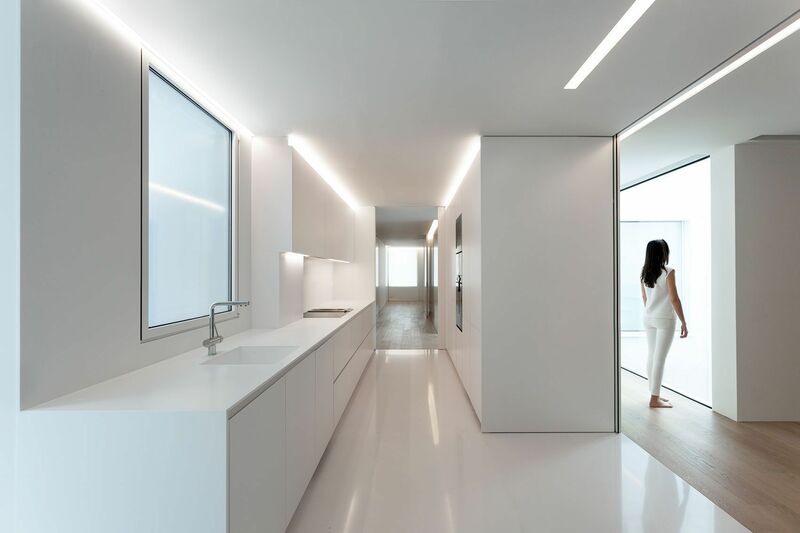 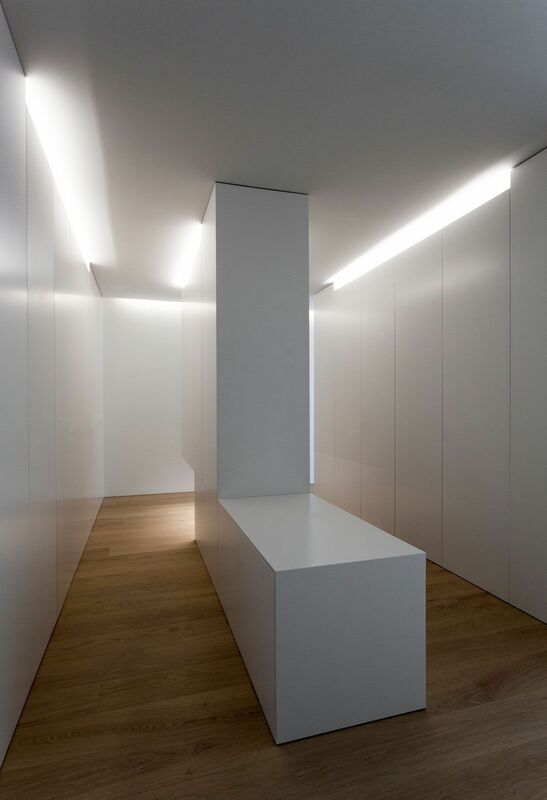 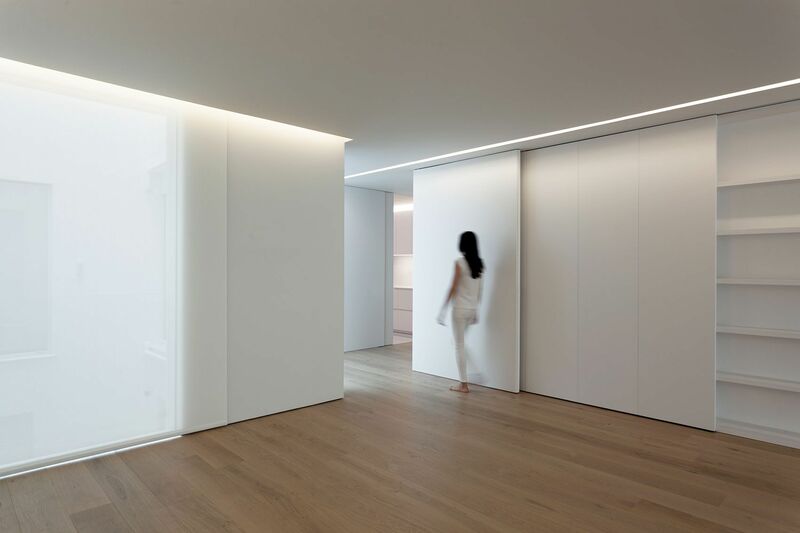 This refurbishment project is located in a building from the seventies in the widening of Valencia. 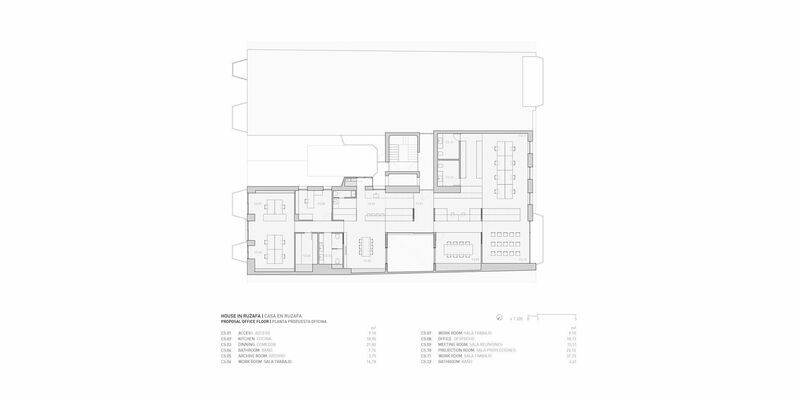 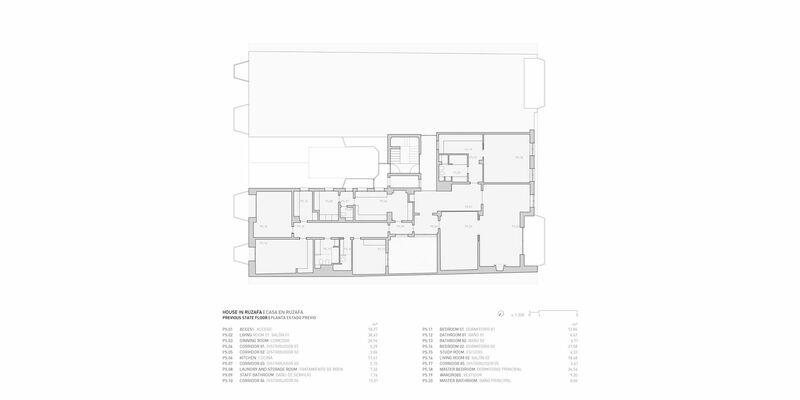 The configuration of the existing structure was allowing to think about a sequence of five modules with differentiated uses. 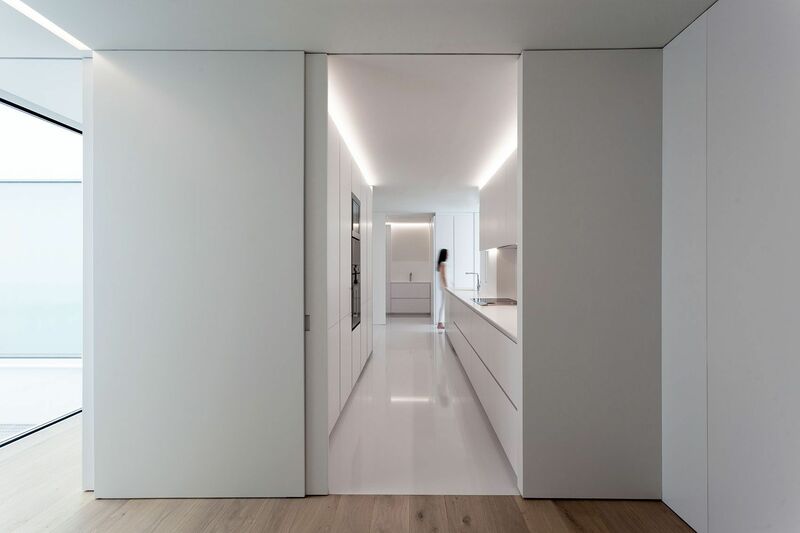 The program is drawn to adapt on having developed of this familiar housing into the one that the needs will be evolving with the passage of time. 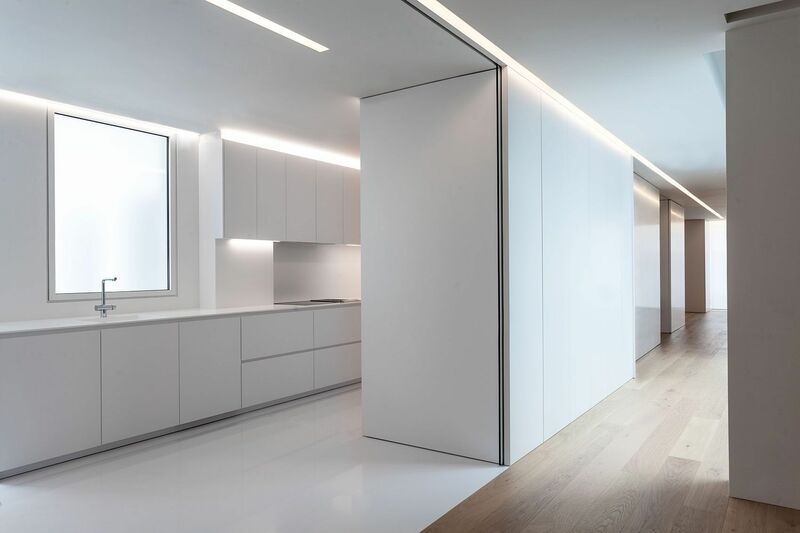 This way the zones by day can be exchanged between them planning new distributions easily on having located the facilities in the perimeter, optimizing the space for the number of users and enclosed being able to transform it into an office. 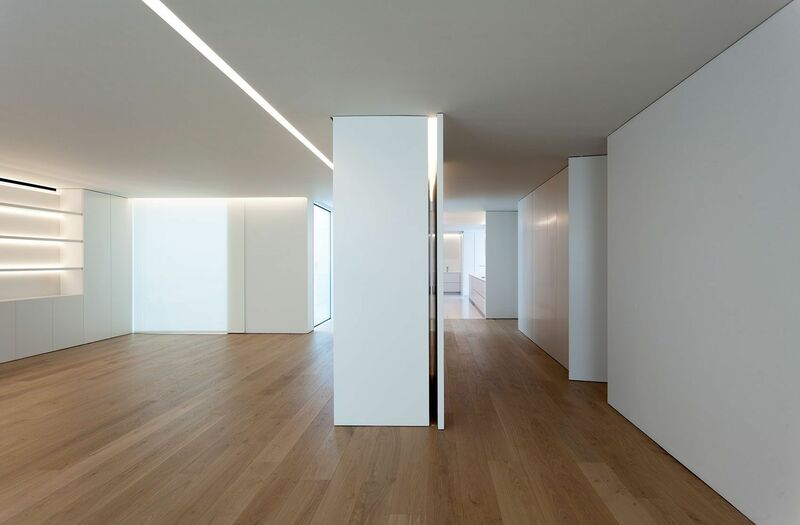 The interior court is promoted opening the hollows to reach the major possible dimension that introduces light in a block of more than 30 meters of depth. 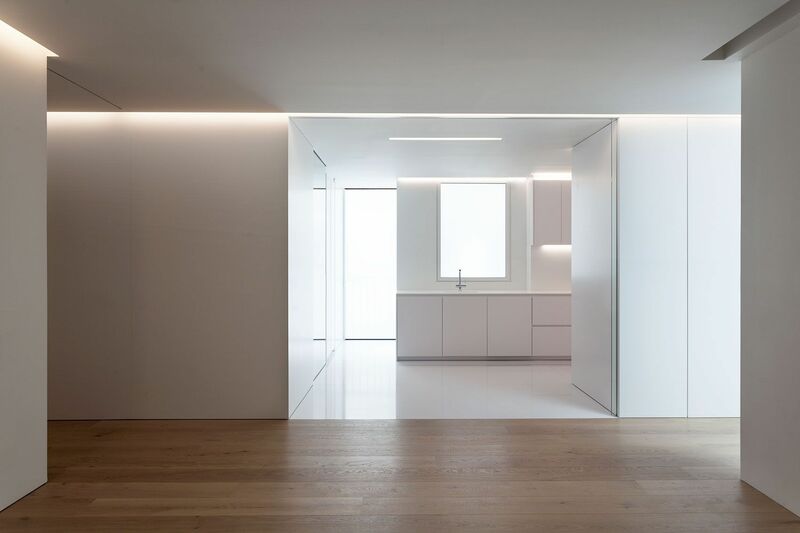 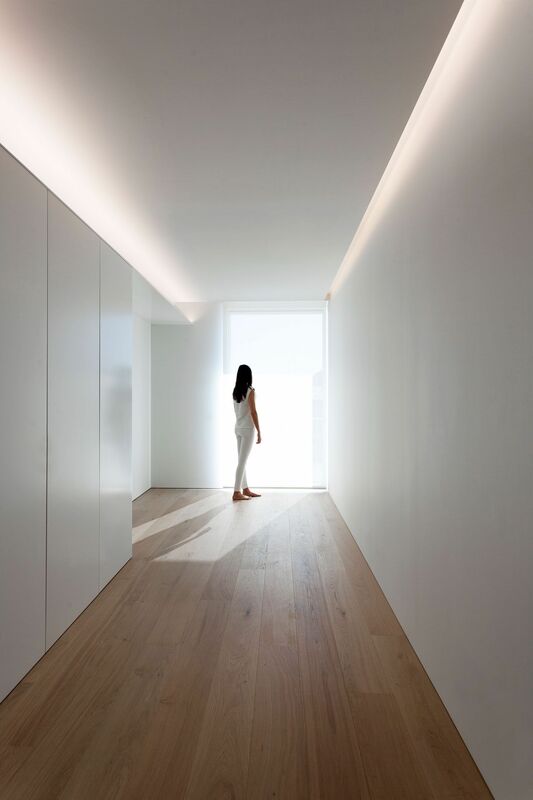 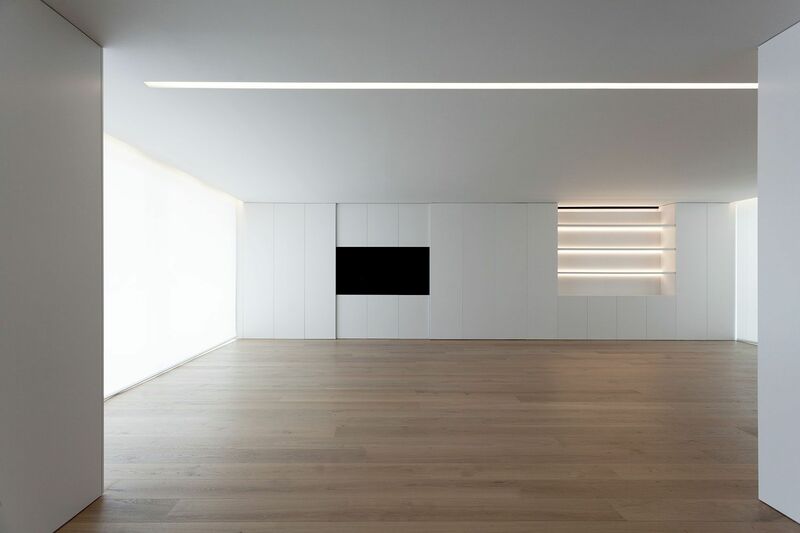 The artificial linear lighting and the disposition of the doors are placed seeking to facilitate the axial visions that increase the sensation of extent. 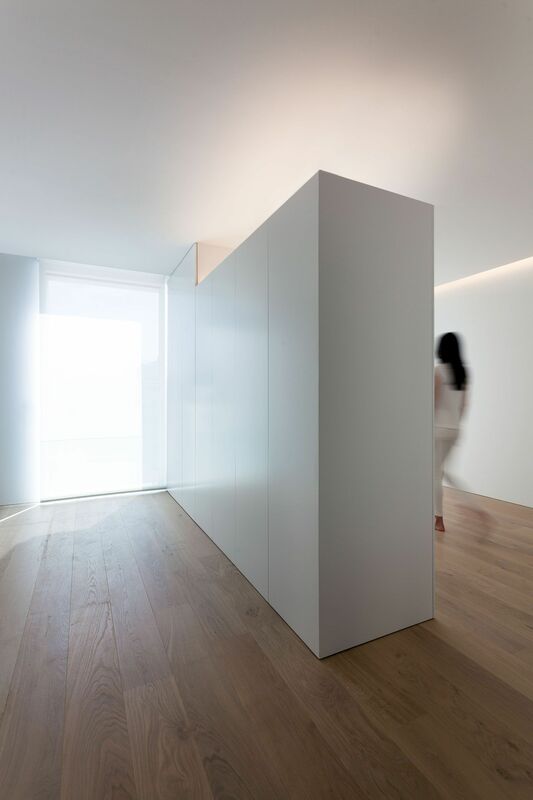 The structure of the building conceals his presence inside the furniture, a few furniture that shelter a system of carpentries that provide with the second level of flexibility to the house. 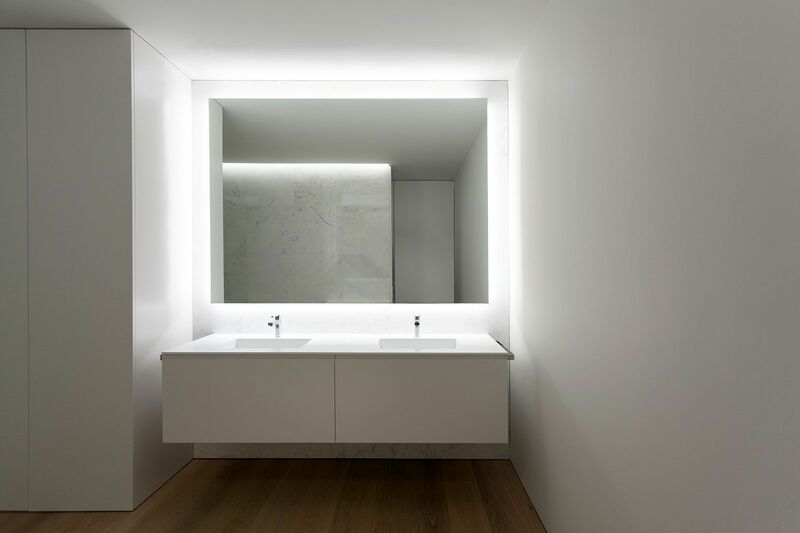 The light furniture formed by contemporary pieces and some ancient, selected pieces, they look for his location in this intervention that one presents he undresses, as a scene for the life.